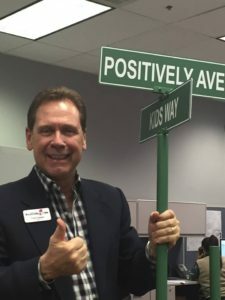 Welcome to the Foundation for Positively Kids. We are a Las Vegas based non-profit organization that has provided quality healthcare to medically fragile and/or developmentally delayed children since 1999. With over 27,000 children born in Clark County, Nevada, 13-15% are classified as medically fragile. In addition, 5000 there are approximately 5,000 children who have been hurt through near drownings, head injuries, and other traumatic accidents. The need is overwhelming. Through the dedication of our professional and compassionate staff, Positively Kids services more than 15,000 children each year though our care coordination programs, such as High Risk Newborn Clinic, Early Intervention, Medical Daycare, Skilled Respite, School-based Health Centers, Home Health, Health Coach, and Dental. Our commitment to our families, our partners, and the children we serve is utmost in our minds. I encourage you to review our site and learn more about our programs, and how they can benefit you or a family you know. Please consider becoming involved at some level, whether it be a cash donation, in-kind donation, or volunteering. Join me in making a commitment to make a difference not only for them, but for yourselves.